Text: Job 33-36 (recto). 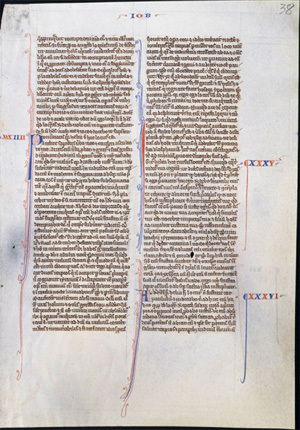 A scan of the verso is not currently available, and the scan of the recto does not allow more specific identification. A translation of this leaf is currently unavaliable.